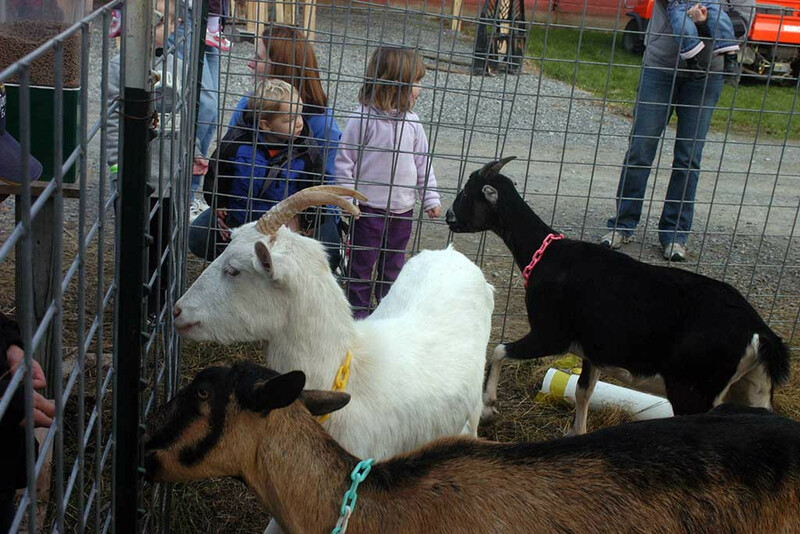 At Ellms Family Farm in Saratoga County NY, we offer a small animal area where kids of all ages can interact with some popular farm animals. 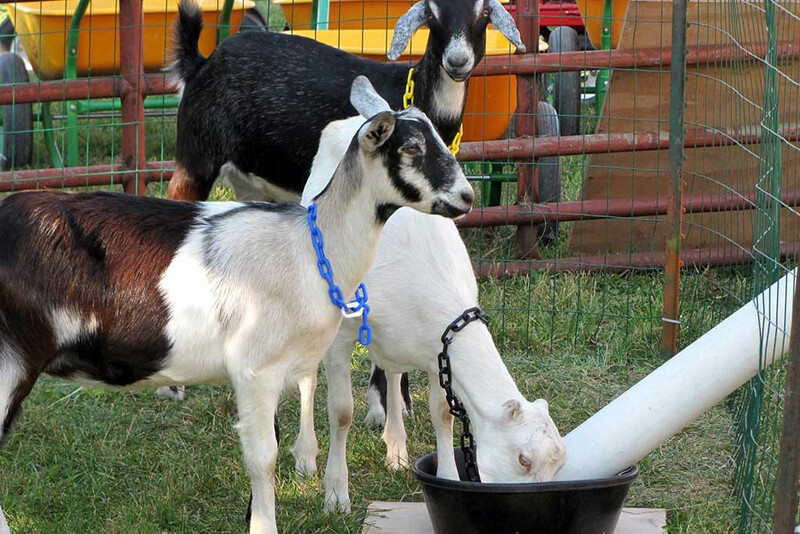 Your children will enjoy feeding our friendly goats. 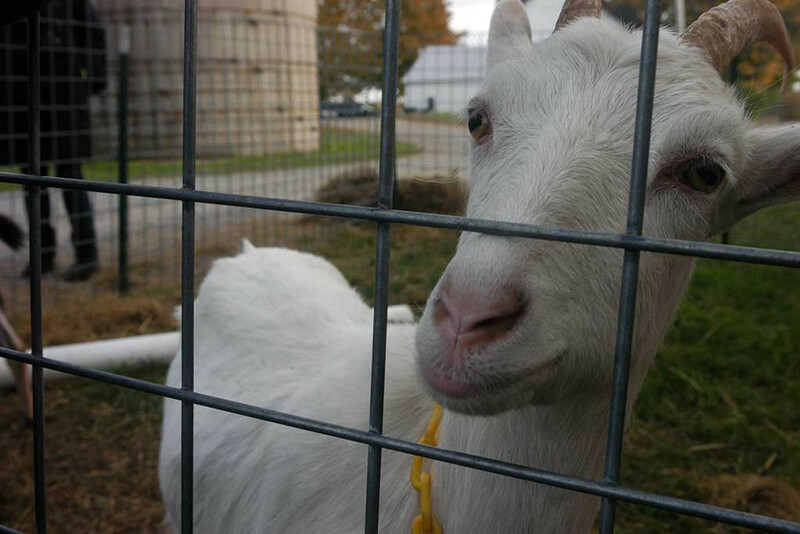 They love people, particularly the young ones, and love to be petted and called by name. No farm is complete without any chickens. Ellms Family Farm has many chickens roaming about for children and adults alike to observe. The chickens are fun to look at, but do just that! They peck at anything and we want them pecking away at food ONLY! 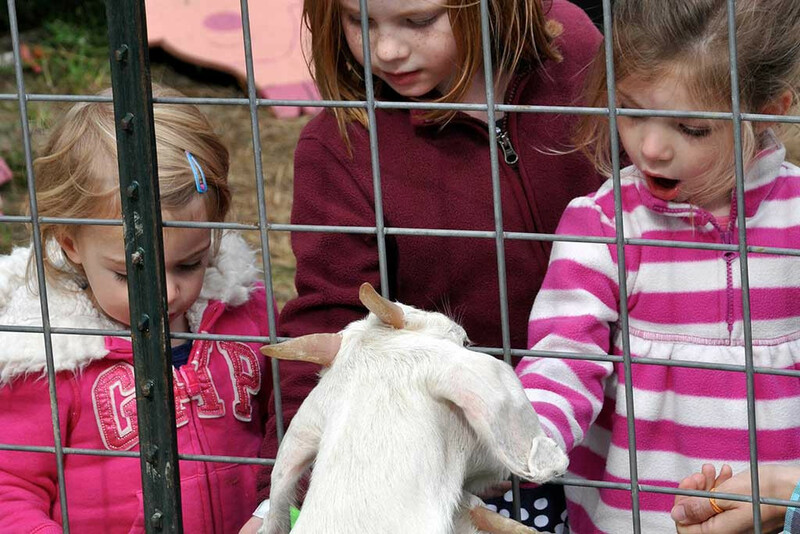 In addition to goats, pot-bellied pigs, and chickens, our small animal area includes a child favorite – bunnies! Bunnies are known to be soft and furry. Each bunny has his or her own personality, and some will hop right over to see you!